I don't think we've made any secret of our love of handmade bicycles. I also think our appreciation of the bits Chris King makes in Portland may just slightly show through in our posts. Combine those, along with the best parts from ENVE and Shimano, and you end up with this incredible build. 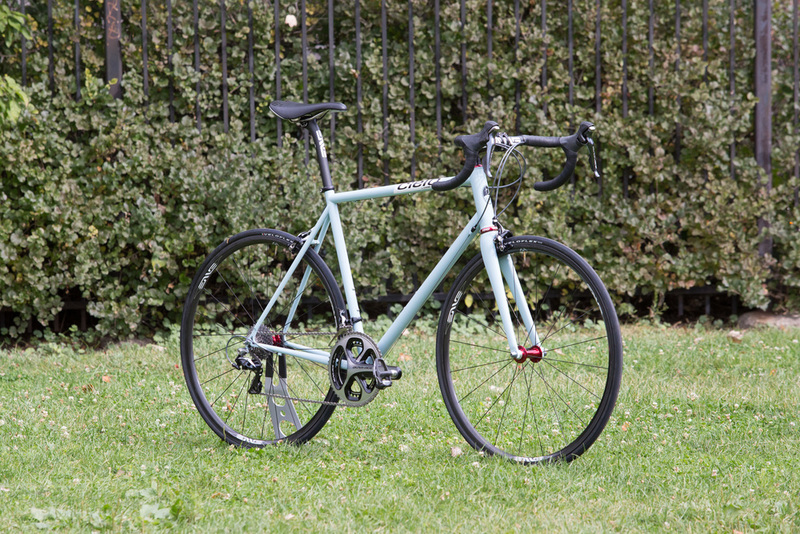 Our fascination with handmade steel isn't just emotional, Velo just recently did some laboratory testing on some steel bikes and found the Cielo Road Racer to be stiffer than a number of carbon bikes in the bottom bracket area. Kind of awesome to read about steel still hanging in there with carbon, even though it weighs more, is still a viable race bike. Shimano's Dura-Ace 9000 handles all of the go and the whoa with their newest 11sp drivetrain and brakes. ENVE provides the show with their classic 25 rims laced to R45 hubs in red, along with stem, seatpost, and compact drop bars. Veloflex adds the grip and plush to the ride. 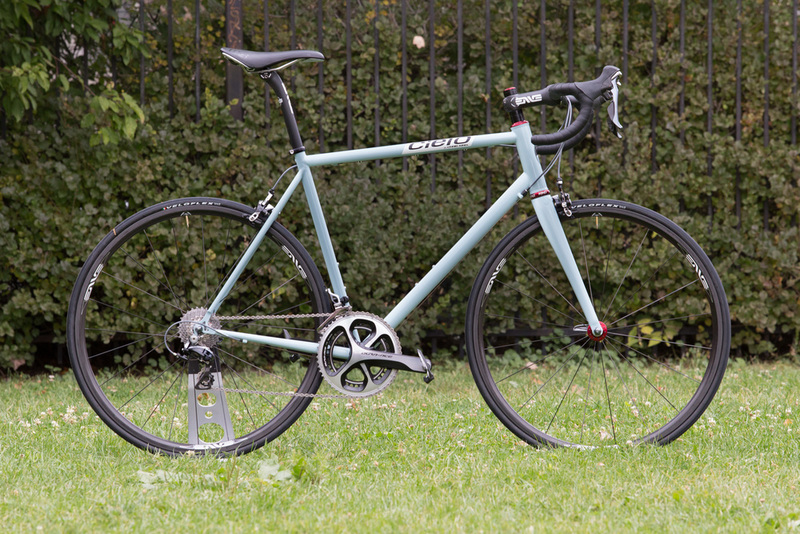 This Cielo Road Racer is no joke.